WINTER DOES NOT HAVE TO BE BORING! 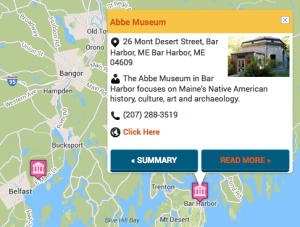 Winter Activities: Children’s Day at the Abbe (Abbe Museum in Bar Harbor, Maine). Looking for a fun and artistic activity for your children and their friends to enjoy? The Abbe Museum is celebrating Wabanaki traditional winter activities and inviting the community to join us for daylong activities! Enjoy complimentary hot cocoa, listen to stories, and enjoy a fun craft! Program offered in partnership with Acadia National Park. This winter Experience Maritime Maine - Visit Maine!